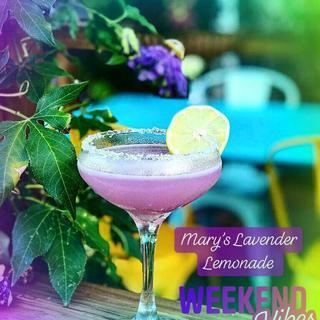 This all-natural cocktail ingredient is a mixture of butterfly pea flowers, sugar, and water. It gives your drinks a brilliant indigo color without resorting to synthetic food dyes. Think you can't make a blue cocktail without resorting to artificial food dye? Think again. b'Lure Butterfly Pea Flower Extract is a highly soluble, indigo-colored, high-concentration extract made from the petals of butterfly pear flower--a plant species that has been used in Thailand and Burma to color food and drinks for centuries. 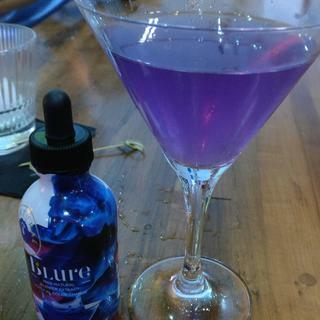 Made with flower, sugar, and water, all-natural b'Lure Butterfly Pea Flower Extract has a mild flavor that is difficult to perceive in cocktails, so it is primarily used for its brilliant color, which displays differently depending on the pH of your drink. When added to a neutral beverage (like water, clear spirits, and milk), you'll note a bright blue color, but in more acidic drinks the appearance will be closer to purple or even pink. If you want to get technical, b'Lure Butterfly Pea Flower Extract is blue at pH 8 to pH 4, royal purple at pH 3, and bright pink at pH 2. And unlike teas made from dried butterfly pea flowers, this product is effective in small doses, so you can achieve a visual effect without watering down your recipe. b'Lure Butterfly Pea Flower Extract is the first commercially available product of its kind and has been featured in Eater as a trend to watch. Find out why it has professional bartenders buzzing! Made by the Wild Hibiscus Flower Co. Thank you! I love this!! It makes the best lavender color we have found so far! Lavender lemonade color turns out beautiful! Takes a bit more product than we had hoped for but we get great results. We are playing around with ideas of how to infuse the liquid part way through the drink. How long will this last in the refridgerator after opening? BEST ANSWER: Shelf life is 3 years if sealed and it will last for 3 months if refrigerated after it's been opened.